The widespread use of touch panels—from sending an e-mail through our smartphones to piloting a fighter jet, is only a matter of time. Touch screens are used everywhere today from consumer electronics, to industrial, medical, automotive, and aerospace applications. This wide range of varying environments and usage types leads to wide diversity in the required specifications. Touch panels used in industrial environments must be resistant against dirt, dust, liquids, or chemicals, long lasting and highly durable. Depending on the industrial sector, they must be able to function in scenarios where the user wears protective gloves, and they must continue to operate properly even in extreme conditions (high humidity, frost, heat etc.). 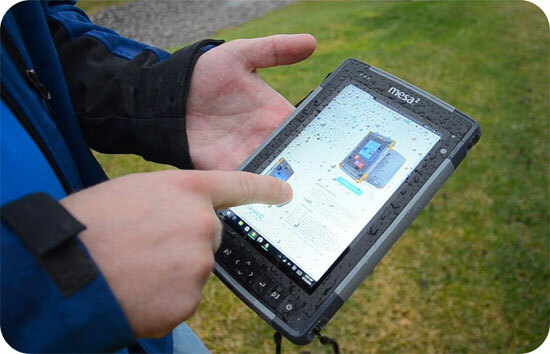 These features are prerequisites for example in Point-of-Sale, kiosks, and marine applications, where additionally touch screens of low glare and good performance under severe weather conditions, like rain or snow, are desired. 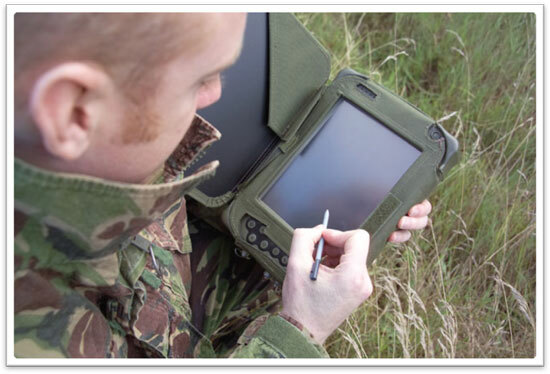 Reliable, robust and long lasting touch panels are of critical importance in medical and military applications. For the armed forces, a flawed screen can prove disastrous or even fatal, especially during a military deployment. Military equipment must withstand electromagnetic radiation, which can be achieved through proper shielding against Electromagnetic Interference (EMI), and emit as low electromagnetic radiation as possible, to prevent localization and ensure safety in communications. Another tremendously challenging industry for touch screens is avionics. Is touch technology ready to maneuver aircrafts? Given that pilot gloves are not a problem anymore; the major remaining challenges are two: touch screens in the cockpit must operate under low atmospheric pressure and, most importantly, they must also withstand vibrations and turbulence without compromising their functionality. The first number specifies resistance against particles, such as dirt or dust, and ranges from 0 (no protection) to 6 (withstands even the smallest dust particles). The second number is indicative of the waterproofness level, taking values between 0 (no protection) and 8 (fully protected in case of total submergence). Smartphones are usually manufactured with IP54 as a minimum requirement, whereas typical IP values for water resistance of industrial touch screens are 5 or 6 (protection against water jets). Such quality specifications can be achieved by using zero-bezel enclosures made of hard and transparent materials which are also as light and cheap as possible; among the most commonly used materials are the chemically strengthened “soda-lime” glass, the Corning Gorilla glass, and Sapphire glass. The strengthened “soda-lime” glass was first used in industrial and military applications where durability is crucial, as well as in outdoor applications, such as Point-of-Sale and ATMs, to protect touch panels from breakage. Just after a few years strengthened glass had already penetrated consumer market, due to its affordable price (at least for touch screens up to 10’’) satisfying the increasing demand to protect cell phones and tablet PCs. The optical performance of “soda-lime” cover glass is often enhanced when combined with special coatings or films, like anti-glare, anti-reflective, anti-fog, anti-smudge, fingerprint-free or UV blocking. Corning Gorilla glass is the predominant material used in smartphones, mainly due to its hardness and flexibility. Although its break resistance resembles that of the strengthened “soda-lime” glass (Mohs scale of hardness: 6.8 compared to 6 of “soda-lime” glass), Gorilla glass is less likely to get scratched. This is the reason why Corning is the worldwide leader of the cover glass industry and Gorilla Glass SR+ has been used on more than 4.5 billion devices. Recently, Corning has announced Gorilla Glass SR+, specially designed for wearable devices, claiming also superior scratch resistance. Sapphire glass was introduced a few years ago by Apple’s supplier GT Advanced Technology as the alternative cover glass to be used in iPhones. The main advantage of the Sapphire Glass is that it is the second hardest material on earth, behind diamond (Mohs scale of hardness: 9). 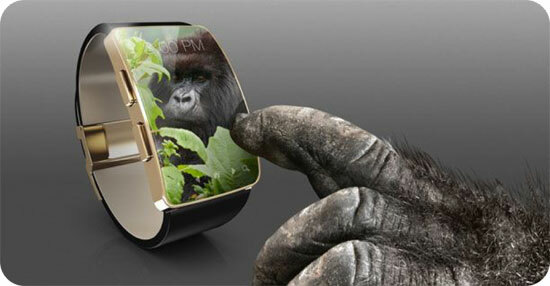 But it is heavier than Gorilla glass and not flexible, so it doesn’t seem to fit in the wearables industry. Its main drawback, however, is that even a tiny flaw in a Sapphire screen makes the screen fragile if accidentally dropped or hit by an object. So, Sapphire glass failed to fulfil Apple’s expectations, leading to the bankruptcy of GT Advanced Technology. Apart from the type and quality of the materials used in a touch sensor, there is another important factor affecting its behavior: the touch technology it relies on. Resistive or Surface Acoustic Wave (SAW) touch panels, for example, do not support multi-touching and are more vulnerable to scratches than capacitive ones. In particular, the ITO conductors of resistive touch screens may crack due to frequent use, resulting in dead spots. Regarding temperature, resistive panels are typically reliable from about -30 to 70 °C, while capacitive ones are often limited to the -10 and 60 °C range. On the other hand, projected-capacitive (PCAP) touch screens may not operate reliably when used with gloves, especially thick ones. Some companies overcome this bottleneck by properly tuning the touch sensor with special software tools like Fieldscale Sense. Their seamless operation under high moisture or even when water droplets exist on the surface can be achieved by combining self-capacitive and mutual-capacitive sensing. Finally, PCAP sensors are sensitive to noise, originating from the display module or a heavy EMI environment. High noise levels may result in malfunction of the touch controller, which must distinguish the real touch signal from the noise. The touch industry has already managed to tackle the most serious issues concerning the design of durable touch screens that can perfectly operate even in harsh environments. Learn more about touch screens and other display industry technologies at next month’s Display Week 2017. Article reposted with author’s permission. Originally posted in Embedded Systems Engineering Website.